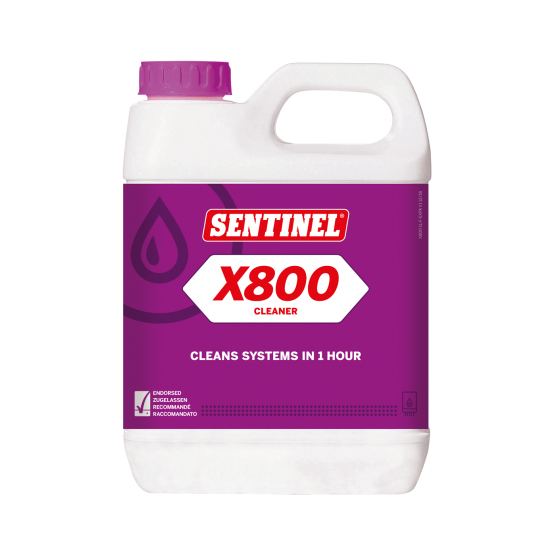 To quickly remove corrosion deposits and scale in 1 hour, older systems should be cleaned with Sentinel X800 Fast Acting Cleaner to fully restore system efficiency. 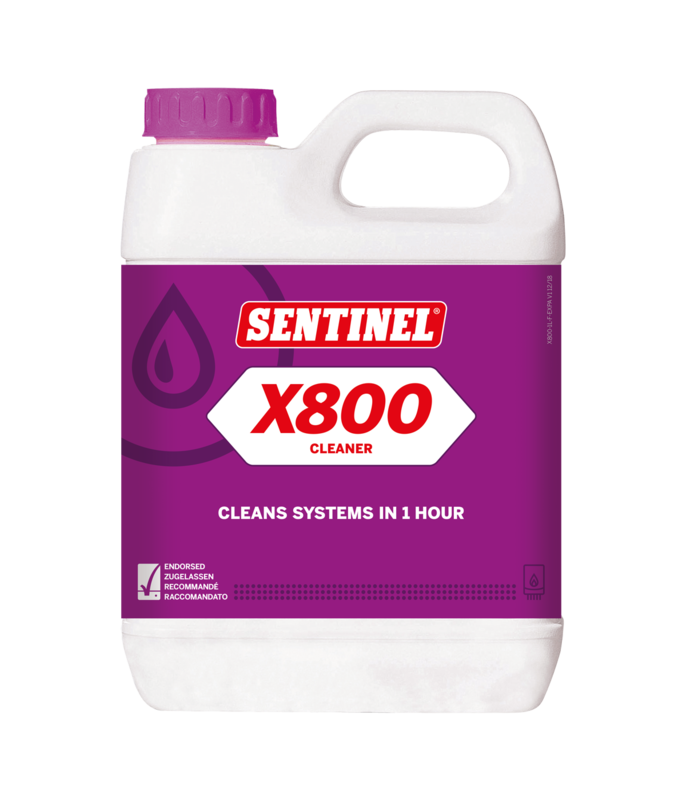 1 litre of Sentinel X800 Fast Acting Cleaner is sufficient to clean a typical system of up to 10 radiators. For larger systems, 2 litres should be used. Where systems are badly fouled, a higher concentration is recommended, i.e. 2 litres for a typical system. This product will not clear a completely blocked pipe. To clean an older system in accordance with BS 7593 it is recommended that this product is used with powerflushing equipment. In this scenario, administer Sentinel X800 Fast Acting Cleaner via the powerflushing equipment, following the equipment manufacturer's instructions. Alternatively, circulate the product (preferably at normal operating temperature, with all valves open and the pump turned to maximum flow) for a minimum period of 1 hour or until satisfactory performance is restored. Powerflushing: Follow the instructions supplied with the powerflushing machine. a Sentinel Dosing Vessel to inject via the filling loop or other access point.